Wine and beer at galleries and bookstore events will have to wait until Vermont offers up definitions of galleries and bookstores. So sayeth the Selectboard. 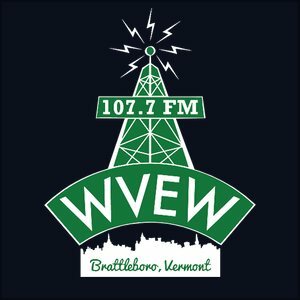 Brattleboro’s Police-Fire Facility Project oversight committee has been formed, a new skating rink compressor will be purchased, and Brattleboro has begun the first of what may be many solar energy projects. The new Selectboard got off to a good start, with a new commitment from the Chair to hear all viewpoints. The new seating arrangement is, from left to right, Schneck, Schoales, Gartenstein, Sondag, O’Connor, and Allen. Longtime Selectboard watchers can make of it what they may. Chair David Gartenstein began the first meeting of the new Selectboard by congratulating and welcoming the new members Kate O’Connor and David Schoales, and returning member John Allen, to the board. He said his goal in chairing the meetings is to make sure everybody has an opportunity to speak fully to the issues, both Selectboard members and members of the public., and that he would speak last after others had a chance to speak. Town Manager Barb Sondag had no opening remarks. There were no committee reports, but Gartenstein noted that the agenda item had been changed to “committee reports and selectboard member comments” to give everyone a chance if they had something to share. The annual discussion of Selectboard Rules of Conduct was brief. Gartenstein said the rules had been circulated to board members and posted online. There were no comments, questions, suggestions, or edits to rules, and they were adopted 5-0. New Selectboard members were offered Committee Assignments to fill seats where the Selectboard is expected to participate in other committees and boards. Schoales and O’Connor will serve on the Capital Grant Review Board. Allen will attend Police Fire Facility Project meetings, and continue overseeing the Waste Water Treatment project. Gartenstein will attend Traffic Safety meetings. Schneck will serve as representative to the Rental Housing Improvement Program loan committee. Schoales will go to Small Business Improvement Program meetings. Ken Schneck nominated and voted for Dora Bouboulis to serve as WRC rep, but O’Connor got the majority of votes. The Selectboard also took up the matter of board goals, and the process by which those goals will be set. Schneck explained that one year they had them, and another they did not, and that the year with them was an improvement. Reviewing the goals quarterly, he said, helped. A meeting to set goals was scheduled for April 11 at 5:30 pm. Kurt Daims welcomed the new board. The change in leadership will allow for a friendlier climate and relations between the board, downtown, the people, and Town Meeting Representatives, he said. Daims reminded the board of the change in support for the Police Fire Facility Project at Representative Town Meeting, and re-read the adopted recommendation that the Selectboard scrutinize the bonding and offer modest budget increases in coming years. He hoped the board would schedule a discussion on this issue. Paul Cameron rose to remind the town of the Vermont Home Energy Challenge to make homes and apartments more energy efficient. “The savings can be remarkable, up to 20-30%,” he said, adding that there were extra incentives such as reduced rates on energy audits and more. Homeowners and landlords were encouraged to get involved. New Vermont state laws allow for short-term licenses for the purpose of serving of wine and beer at galleries and bookstores. The law, however, doesn’t define gallery or bookstore and Town Clerk Annette Cappy asked the Selectboard for guidance at their February 5th meeting. That board placed a moratorium on these new licenses until the new board could take up the issue. The new board took up the issue Tuesday evening. Cappy reiterated her concerns about the permits, including the definition of who may apply, where they may buy the liquor, and training issues. She said the board could tighten restrictions, but not expand them. Ken Schneck said he came to the meeting ready to compromise, but hearing Cappy’s concerns got him “right back to where I was.” He said the permit seemed like a severe relaxing of standards, and there was no need for these permits when a store could hire a caterer or get a special event permit. “We can decide not to grant them,” he said of the new permits. Cappy said that licenses can be revoked, but the permitholders face no repercussions if they are lax. “Those with a license are more careful and responsible,” she said. David Schoales asked if the training was different for special event permits. “I don’t see the difference,” said Schoales. “And to require that they purchase the liquor from the State of Vermont,” added Schneck. Town Manager Sondag said that there was a clear reason for permits like this. “Every so often a place has a special event and they may have alcohol.” She said her concern was the number of permits on a given night in a given area, and suggested the board limit permits on bigger nights downtown. Beth Shrader of the BAPC said she was looking forward to working with the new board to provide technical assistance about drugs and alcohol. She said the permit simply allows serving, not selling, of alcohol, and that Richards Insurance said that businesses would need a special insurance endorsement to be covered for liability. “If we do that, what if we don’t like the definition? Can we look at it again?” asked O’Connor. Gartenstein said they could decide when that happens. “Another option would be to make the criteria include hiring a caterer,” said Schneck. “Vermont allows it so you don’t have to own an establishment to get a catering permit,” added Josh Hearne. “There have been inquiries,” said Cappy. The board approved waiting or the state to offer definitions 4-1, with Gartenstein against. 7-Eleven, Barnaby’s Productions, and Elliot Street Fish, Chips, and More all applied for and received their respective licenses. 7-Eleven got a renewed second class liquor and tobacco license for their store at 1020 Western Ave., recently under new ownership. Barnaby’s received their first class liquor and entertainment license for their location at 95 Main Street. Joshua Hearne is the owner. He said the plan is to relaunch the space in a new direction to create a truly dedicated music hall like the Iron Horse. He said there would be music five nights a week, including nights for open mic, local music, regional and small national acts, and even folk, jazz and comedy. “Come on down and see a good show,” he said. Kate O’Connor asked about the capacity of the club. Hearne said it was 100 people. Beth Shrader of the Brattleboro Area Prevention Coalition asked how Barnaby’s could be operating for the last few weeks under Rocky Top’s license, if Rocky Top had closed? Gartenstein said that the renewal deadline is April 30th, and Rocky Top wasn’t renewing. Shrader said she appreciated the detail of the Selectboard Meeting reports on iBrattleboro. David and Lauren Manning are the new owners of Elliot Street Fish, Chips, and More, and a first class liquor license. He told the board he took the state training and said it was fun, and written by and for Vermonters. The Brattleboro Selectboard approved a credit to the WWTP project in the amount of $5,294, and heard about an additional change that reduced costs by an additional $4,091. There were also changes at the Spring Tree Pump Station, which added $8,500 to their SCADA allowance estimate and 14 additional contract days. “They pay to dump septic,” said Town Manager Barb Sondag, adding a “Cha-ching” sound for emphasis. Ethier said the Spring Tree Pump Station preliminary work is underway. He said the old tank is out, new parts are on site, and new power service is being installed soon. The SCADA (control system) upgrades are adding to the cost, but the system allows Public Works to call up the system online from remote locations. Sondag said the system sends alerts and has reduced staff time by allowing employees to be off-site using a laptop to monitor the plant on weekends. “It also adds contract days,” warned Public Works assistant Hanna O’Connell. All changes, increases and decreases alike, were approved. Seventeen people stepped forward to serve on the Police Fire Facility Project (PFFP) oversight committee. Just before Tuesday’s meeting, the Selectboard interviewed a number of candidates. David Schoales also agreed about process, “but we’re elected to be reasonable.” He said there were good candidates, and he’d like to consider them all. “I don’t disagree, but I sorta disagree,” said O’Connor. “There could be people out there right now watching who’d like to join the committee.” She said if they extend the deadline, it should be warned so others could apply. “Anyone who applied late can go to the meetings and speak to issues,” reminded Schneck. “It’s just the process,” said Allen, again. He said he came away with the feeling that the committee needs some people who were opposed to the cost, and that lingering questions would best be answered by having them on the committee. He said he personally contacted some and asked them to put their names in for consideration. “They’d be useful and welcome additions to the committee, to question the scope and cost.” He suggested that board members opposed to allowing those who missed the deadline to make a motion saying they would not be considered. O’Connor expressed concern that this would set a precedent that might impact the upcoming appointment of a Selectboard member. “It’s nice to get it out in the open and address a problem that could occur,” added Allen. “Make a motion that those who missed the deadline can’t be nominated,” suggested Gartenstein. Steven K-Brooks said there would be no precedent, as this is a special case of a controversial issue that required a sense of cohesion. John Wilmerding said he asked the Town Manager at Representative Town Meeting if people could still apply, and she had said yes. With that, rounds of nominations and voting occurred. The new PFFP committee members appointed are Robin Sweetapple, Eli Gould, Phil Chapman, Prudence McKinney, Dave Emory, Anthony Farnum, Kathy Dowd, and Steve Phillips. The committee size was expanded to nine members, with John Allen, the Selectboard representative, being allowed to vote in the committee and on the Selectboard. “I’ll set up a meeting to meet the project manager,” said Sondag. Shire Town Properties has a Small Business Assistance Program loan with Brattleboro, and three commercial mortgages. The Selectboard gave approval at Tuesday’s meeting to allow the three commercial mortgages to be consolidated. The agreement is among Brattleboro, Shire Town, and Merchants Bank. The agreement leaves Brattleboro in second position, rather than fourth, for repayment. Turner & Renaud of Dummerston was granted a contract for $17,800 to perform seasonal maintenance for cemeteries at Prospect Hill and Morningside. Brattleboro has entered into a 20 year agreement with Integrated Solar of Brattleboro and Green Lantern Capital of Waterbury to provide electricity from a photovoltaic system. The agreement provides for discounted electricity costs for the town and an projected savings of $16-18,600 per year. The proposal did not identify a site for the photovoltaic array, though there was a notation of “TBD/landfill?” in the summary. Lester Humphreys of the Brattleboro Energy Committee said the two biggest factors were savings for the town, and the location of the solar panels. He said the decision was narrowed to two proposals. “One had land, one had higher savings.” Savings for the town won out. He said the town will get guaranteed savings, and the company will get a reliable customer for 20 years with a good track record of paying its bills. “The more that’s generated, the more we save,” added Sondag. Humphreys said the town could add other systems to increase the savings. He said Brattleboro could issue another RFP, create a fixed rate system, build a town-owned system, or just wait and see how this first project goes. He said saving could be greater than projections show, if the town continues to reduce its consumption. Schoales said the town could generate extra power and find others to purchase excess energy credits if we reach our limits. John Allen and David Gartenstein asked if there was any risk to the town. No, answered the committee. Sondag said one risk was if the company went out of business. The town could lose credits and discounts, and that could throw off budgets if prices suddenly jumped. “I see no downsides to this,” decided Allen. Sondag said there were other ways that could net greater savings, but the town would take on more risk. She said they could do more projects like this. John Wilmerding said that a public interest entity could be created to provide renewable energy facilities, and it could be the answer to the current monopoly on power in Vermont. He warned that contracts should be carefully considered, and the town should have multiple options, including the right to buy the system, when the contract ends. One of the other bidders on the project was there and asked if inflation was considered. The committee said yes. “It would be the same for all the companies and could be compared equally,” said Humphries. O’Connor thought it was a good idea, but questioned whether they’d be placing a condition on the company that could not be met. Allen thought it could be in the form of a suggestion. “That’s reasonable, and would give us an idea of how they will respond to our suggestions,” said Schoales. “We need to be hiring people in Brattleboro, and have more contracts coming up.” He said he’d ask for this clause again. Sondag said the town did have unemployed people, but it didn’t necessarily mean the unemployed can build a photovoltaic system. The representative from Region Solar, an unsuccessful bidder for the project, said that his company had teamed up with a tech center to help create a jobs program in another location. He said the board could select RFP’s using a weighted system that gives points for such things. Schneck said he liked the local hiring options being incorporated at the RFP stage of the process with future projects. The board voted 5-0 in favor of the project and scheduled another discussion for May to look at additional possibilities such as a suggestion by Schoales to think bigger and consider generating enough to sell to large non-profits in town. The Selectboard unanimously approved BUR Construction of Claremont, NH to reconstruct two retaining walls on Strand Avenue. The cost for the new wall will be just over $314,000, with $175,000 of the funding coming from a state grant and the balance from Brattleboro’s General Fund. “Wouldn’t it be cheaper to close Strand Ave?” asked John Allen. It is an older stone wall in a tight space. The repair will involve “soil anchoring” to drill into the mountain, insert rods, and put a stone face to the outer, visible form. Town Manager Sondag said it took many meetings to find agreement in the neighborhood, and also that the original project had been made from old pieces of sidewalk. Town Manager Sondag was authorized by the Selectboard to negotiate a contract for engineering of downtown sidewalk repairs. She did this, but also entered into a contract for just over $50,000 with the DuFrense Group to do the work. She wasn’t technically authorized, and recently noticed the error. “I’m asking for forgiveness,” said Sondag. The Selectboard retroactively ratified the contract-entering, and all is well with the sidewalk repair engineering contract. A private drive off Upper Dummerston Road owned by the Brattleboro Country Club will be renamed Senator Gannett Drive, in honor of Senator Robert Gannett, after everything is checked and made certain, at some time in the future. A special meeting for the board to discuss goal setting is scheduled for April 11th, at 5:30 p.m. Board members were encouraged to get their goals in early to the Town Manager. Note to Beth Shrader – Barb is right, Chief Wrinn wasn’t there. My report referenced the materials given out in the packet, where Wrinn listed violations at Rocky Top. That’s how I got his name in there. As for it being closed, that was my observation. The Rocky Top sign had come down, Barnaby’s had gone up, and to my eye, that seemed very much like Rocky Top was no more, and the new business was getting going. Sorry for any confusion. It sounds like technically they were still open under the old name until the sale went through. I attended the first 2 hours of the meeting. Somehow the dais seemed like a just a table, rather than like a foreboding wall. My sense is that under the leadership of the newly elected Chair, there is a spirit of fairness like a breath of fresh air. I was struck by how invited and included everyone in the room seemed to be. Chair Gartenstein made sure to offer the board, staff, and public opportunities to speak to just about every issue. Even questions like “shall we become Liquor Commissioners” were given room for public comment. It was also nice to see the board laughing a bit. Reading this, we (KM and I) had a real sense of hope for the new SB members and for the role of the new Chair. Is it possible it will endure? We hope so and wish them all the best in shooting for inclusion and expanding opportunities for citizen participation. We have confidence in Dave Schoales. Dora was a smart nomination for WRC. Many thanks to Terry Carter. From these notes only (not having listened to a recording it’s hard not to sigh about the course of discussion. Referring to the discussion on Strand Ave we see John Allen asking if it wouldn’t be cheaper just to close Strand Ave. Barb Sondag answers that there is an agreement with the neighborhood. Are the neighborhood residents the final arbiters of a costly infrastructure project? Everyone on the Selectboard should know that isn’t so. Why then did the discussion end there? Barb wasn’t answering John. John was throwing out one of his “whole enchilada” type statements. Barb’s answer was in response, I think, to a question about how long everyone had been working on this project. Negotiations with neighbors seemed to be one of the reasons it took a while, as they were concerned about aesthetics. Neighbors weren’t the final arbiters so much as included participants in the discussion. That took some extra time.